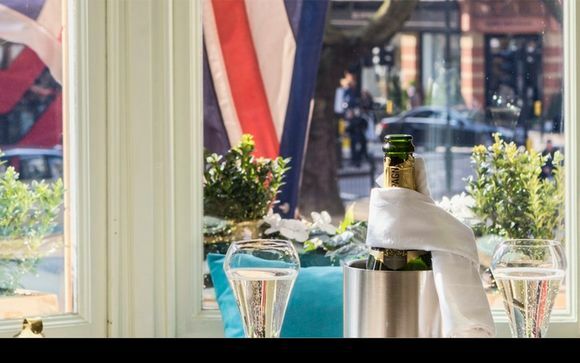 In the heart of fashionable Chelsea, this hotel offers classically elegant interiors, with bedrooms overlooking famous Sloane Square. This enviable location puts guest within easy reach of many top attractions such as Buckingham Palace, shopping on the King's Road and The Victoria and Albert Museum. Treat yourself with a little something from the hotel's award-winning Cote Brasserie! 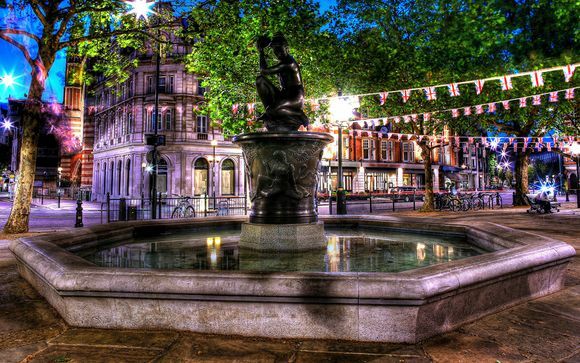 Your hotel boasts a prestigious location on Sloane Square, in the Royal Borough of Kensington and Chelsea. This independent, privately owned hotel offers timeless British design and individual character. Its fashionable location and personal service will ensure your city break in the capital is a memorable one. 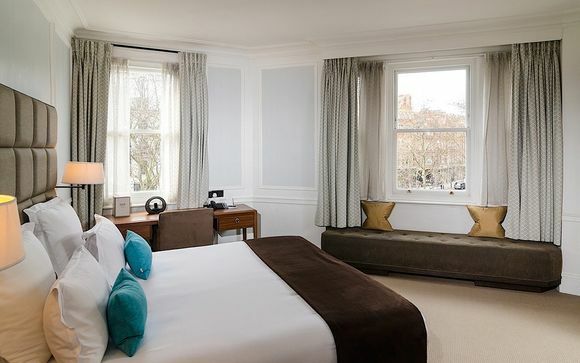 The 102 guest rooms overlook the famous square or Trinity Church, and feature luxury 300-thread count Egyptian cotton bed linen, the softest pillows and total black out curtains to ensure a great night's sleep. There is a popular restaurant right next door, and the hotel also has it's own cafe and bar where you can relax. Cosy rooms, some with a bay window overlooking the Square and some enjoying the quietness of the historic Holy Trinity Church. Average room size: 20m2. This offer is based on a room only stay. Just for you: glass of champagne. 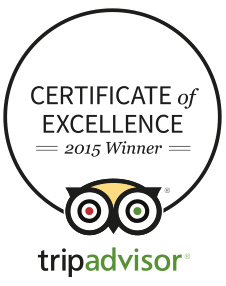 Enjoy a brilliant breakfast, a lovely lunch and a delicious dinner at the award-winning Cote Brasserie. Cote Brasserie is situated directly inside the hotel meaning you can sample its wonderful cuisine without even leaving the hotel! The hotel's Café & Bar serves drinks and light snacks, as well as afternoon tea. A great place to relax, read the papers or have a coffee with friends. Transport is not included with this offer. Sloane Square station is seconds away – for London Underground’s Circle and District lines. Sloane Square Hotel has a limited underground parking service. Bookings can be made through the hotel directly. A charge applies: £45 per day.